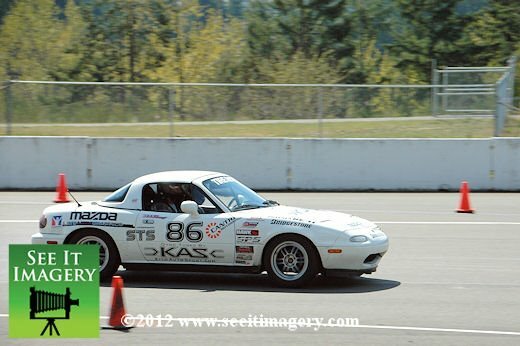 Someone was able to grab a picture of Kyoko and I doing the business at Pacific Raceways last weekend. I was taking my IRDC Racing Driving school, which was a ton of fun. I was only able to get two sessions out of the day, due to my clutch giving up the ghost, but it was totally worth it.